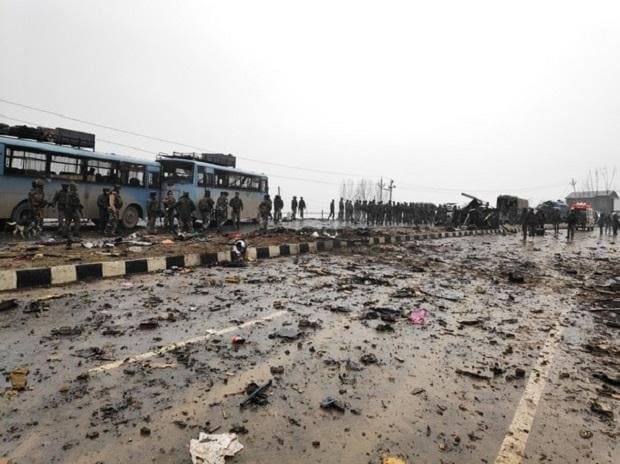 Saudi Arabia Friday said it stood with India's fight against terrorism and extremism and denounced as "cowardly" the suicide attack carried out by Pakistan-based Jaish-e-Mohammed (JeM) terror group in Jammu and Kashmir that killed at least 40 CRPF soldiers. The strong condemnation came days ahead of Saudi Crown Prince Mohammed bin Salman bin Abdulaziz Al Saud's state visit to India next week for talks with the top Indian leadership. Strongly condemning the terror attack, the Saudi Foreign Ministry said Riyadh denounced the explosion that targeted a military convoy that killed a number of people and injured many others. The official Saudi Press Agency, quoting a Foreign Ministry source, stressed the Kingdom rejects these "cowardly terrorist acts" and the Gulf Kingdom stood with the "friendly Republic of India against terrorism and extremism." Crown Prince, who is arriving in Islamabad on Saturday for talks with the Pakistani leadership, will travel to New Delhi on Tuesday for a two-day visit at the invitation of Prime Minister Narendra Modi. "The issues that could come up for discussions are investments, defence and security, including counter-terrorism, and renewable energy," Ministry of External Affairs Spokesperson Raveesh Kumar said on Thursday in New Delhi. Saudi Arabia is India's fourth largest trading partner and the bilateral trade is worth USD 28 billion. The oil-rich country supplies 20 per cent of India's crude oil requirement and the Indian diaspora in Saudi Arabia is 20 million-strong.